(California State Department of Transportation). Most fun I ever had working. Bureau of Justice Statistics, U.S. Dept. of Justice as a Statistician. Druke, Teresa Wagenbach and Andy Passen. Tought at Swaziland College of Technology. program to erradicate smallpox and diptheria. Formed business '75 to '90, heavy equipment parts and service. Now with City of Ft.Lauderdale, Equipment services, safety supervisor. Any of the same years Swaziland group. America, East Europe/Former Soviet Union and Caribbean. Worked at Evelyn Baring HS. Cities you served in: Nearest shops were Elulakeni & Mlawula. This was the second smartest decision in my life. Work Description: TOEFL teacher, Hlatikulu Secondary Sch. Library and Archives Commission; have one daughter. Many--I'm looking forward to seeing the directory. 1987-1991 Taught at the Karachi American School. Training College in late 1972. Worked in Swaziland private sector 75-76. 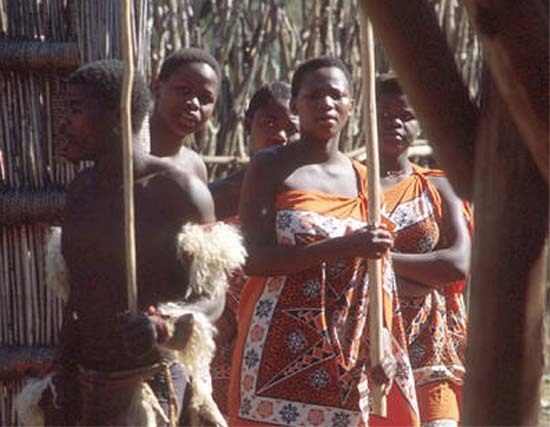 Married Swazi national in '76. was last working at the mine in Emlembe. Would enjoy hearing from Swaziland RPCV's of my era. meaningful pursuits Vilakati's ever had. Currently moderating the Friends of Swaziland (FOS) E-group. since 1990: Brain Researcher at UCLA(NPI, BRI), Married, 2 daughters. at least as much as we give through Peace Corps service. Anyone from Swaziland. So many great people! serve food to the homeless. The feeling was still great! real dangers to health for future volunteers. Married Paul Rader RPCV Swaziland and two daughters Natalie and Claudia. Work Description: Science/Math Teacher - Mhlatane H.S. returned to Swaziland at same school and position as teacher yrs 1985-86.
and Harry Rosso? Dennis Lawn, I have some good news for you, too. Who is going to the onvention this June in Washington D.C.? Grad School at Harvard;Wall Street Broker for 20 years;Training Director for a Swedish Financial Services Company. Living in CT, married with a Rhodesian Ridgeback. Some of the best years of my life. Certainly left with as much as I gave. Jerry Richardson, Kai Rasmussen and any of the RPCVs from 1977-1979. MPH At Michigan, consultant, USAID, Currently at CDC in reporductive health. Wonderful experience. Has kept me in international health ever since. My son Brad (Wakhula Sibusiso)born in Mbabane January 1975 is doing well, back in college full time. I'm divorced and working as a case manager for California's welfare program CalWORKs. I think I got more than I gave. It still surprises me how many people have no idea what PCVs do. I'm sure glad I had the opportunity to be a volunteer. What a wonderful experience. I wish every young person could do the same. Still teaching Singhisi, now to international kids, including the odd Swazi, here in Denmark. Days of wine and roses! Swaziland One and Two RPCV's. Hope and trust you are all staying well and going well. Seems like yesterday. seems like a long time ago. Wow. What a time we had. Anyone from the days in Swaziland. Iran,1972-75, Architect/Landscape Architect/City Planner Group, Designed and built 6 city parks, 3 city plans, various buildings and road projects. Volunteered again, this time for a career in the Army with 7 years in MASH and 14 years in MI. Taught for the University of Mass for 5 years and for 2 years was a Program Manager, subcontracted under EDS. Currently on the dole, going back to school to obtain that elusive post grad degree. My Peace Corps experience sensitized me to the world. Life in the world is not what is published in our local or national news, it's what is experienced up close and personal to the nations of mother earth. There is not much difference from peace makers and peace keepers, we all hate war. Anyone in Group I in Swaziland, specifically Mike Sturm. Hey Swaziland I, how about a reunion! Lived in Swaziland 2 more years then moved to Johannesburg and lived there until 97. Married to Thandie Nkambule in '93. Back to the States since RSA - living near Pittsburgh. Twins in 2000. University of Minnesota/Minneapolis: Director, Study Abroad Programs. Some of the best days of my life where I took as much as I gave. A great opportunity for personal growth and development while providing a service that you cannot attach a price tag to. Colleen Babcock, Rocky Evangelista, Jerry Richardson, Debbi Tonnelli and anyone from the late 70's in SD. Know that you have made a difference in the lives of many and use your knowledge and experience to enjoy life to the fullest. Much too much has happened in the past 30-odd years to put down here. Now living in Western Australia. It represented one of the best sides of American life abroad, and delivered more useful help and goodwill than many more sophisticated and more expensive programs. If we had more PCVs we'd need fewer soldiers. Swaziland and Botswana RPCVs from the early and mid 70s may be saddened to hear of the death of Ruthanne Horning on Jan 26 in California. Various. Gene at National Joinery in Swaziland and Lerotholi Tech in Lesotho; I in variety of NMS posts including Swazicraft and PC office. Living in Australia for the past 25 years. Parents of 3 and g-parents of 3 and 1/2. Far too many to put down here. Nothing I can fit in this space. Hi, I'm looking for Eric Lee Shenk's contacts. His last school was etimpisini high before going to RSA where he taught at The University of Bloemfontein after getting a Masters Degree from Ohio varsity. Recently ran into Maphiwa Lukhele who wants to get in touch with Kirk Iverson. Any leads?